Add your memories about the IfA in the comments below. Many thanks for inviting me to your celebration activities. I would have loved to join the celebrations (and meet with former collegues), but I will most likely not be able to make it. Yes, I remember that day. It was actually a Cushman Trackster having rubber track treads instead of wheels and a T-control for steering, going, and stopping. If I was driving like a crazy man, it was probably because I couldn’t control it very well. And I had chipped ice off of the dome so I could observe a few times before, so I was used to being up there. Somewhat later, there was a dome slit heater installed to deal with the ice. But I am sure that astronomers would not be allowed to do that sort of thing today, regardless. I have never kept a diary, so I can’t remember the years that things happened or even sometimes the people involved, but I do have many treasured memories of my time on Mauna Kea. •	Taking a spectrum with a large telescope for the first time. The spectrum was of Vega—not exciting scientifically but one of the first—possibly the first—science observation with the 88-inch. •	First light at the IRTF. Actually, first light had been achieved by the engineering staff the night before, but several of us flew over from Honolulu the next day to make it official. I remember celebrating at the summit with champagne. I also remember hearing a UKIRT staff member, who had been struggling for months trying to achieve the same milestone, saying, “Those Yanks have done it again!” But we have to remember that the IRTF was built like a tank, and UKIRT was one of the first modern, light-weight telescopes that required active controls to perform well. 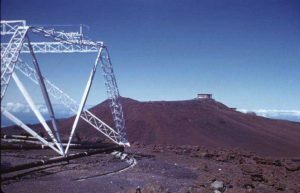 •	Seeing for the first time the domes of IRTF, UKIRT, and CFHT all open for observing. More even than significant milestones, I remember the many adventures we had on Mauna Kea. •	Setting off Roman candles with my husband Richard on the summit on New Year’s eve with the snow gently falling. Actually Roman candles don’t work too well at that altitude. •	With Walter Bonsack hauling a Zeeman analyzer up the summit cinder cone on a sled when the road was blocked by snow. I vowed never to walk up the mountain again. •	The night one of the generators threw a rod, we couldn’t start the backup generator, it began to snow, and the night assistant and I sat and watched snow falling gently on the telescope while we waited for help from Hilo. •	Sitting at the slit of the coude feed during an earthquake and seeing the star execute a lissajou curve in the eyepiece. •	Going up to prepare the coude spectrograph after another earthquake and discovering the while all of the components of the spectrograph remained perfectly aligned, the whole steel frame of the spectrograph had been knocked off of its northern mounting point and was about an inch too low,. •	With Richard, coasting a car that could not be started to Hilo around 3 AM. The trick was to get the car going so fast that it was possible to make it through a hilly section near Hilo. This had to be done at night so that the headlights of any oncoming traffic would provide a warning. •	On one of the very first nights that I observed on Mauna Kea, seeing the Southern Cross rising over Mauna Loa with the red glow of an eruption at Halemaumau against the sky—quintessentially Hawaii. 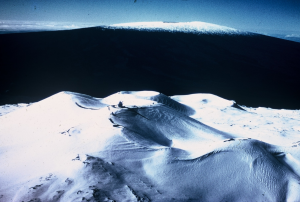 •	Sitting at the slit of the coude feed guiding the telescope while an exposure was in progress, when a graduate student on his first trip to the mountain came in from the cat walk and announced that Mauna Loa was erupting. Hilo radio didn’t announce the eruption for another half hour, so we had this magnificent sight to ourselves for a brief time. I have gone through the IRTF “rogues” gallery http://irtfweb.ifa.hawaii.edu/gallery/ and selected photos showing IfA staff at work and play and added several from elsewhere. I hope someone can add similar IfA pics from Maui and Manoa. They might make a good slide show to have running between events at the Symposium. I eventually went down to Sears and bought the cheapest shoes for the trip that I could find. 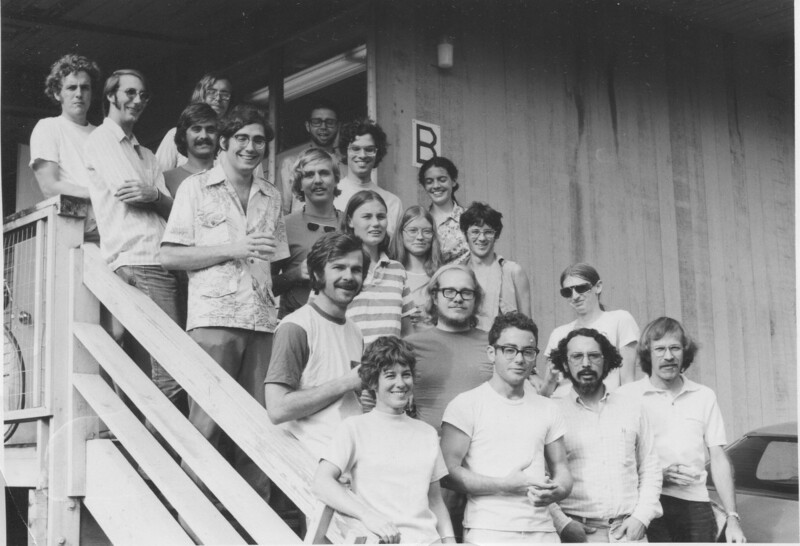 Envision the juxtaposition: the dignified JTJefferies having made every effort over those early years to convince the community that Hawaii is not a scientific outpost but but rather the future of ground-based astronomy. And what happens? Some young Hawaii scientist shows up at a formal Paris meeting in “slippahs.” It still makes me giggle. The reporter (Helen Altonn) must have called me about something else, so I shared it b/c we had rapport and she liked our program. Never dreamed she’d put it in the paper! But then again, back then it was the little things that made us (astronomy) human. So you ended up giving us a dash of positive PR. 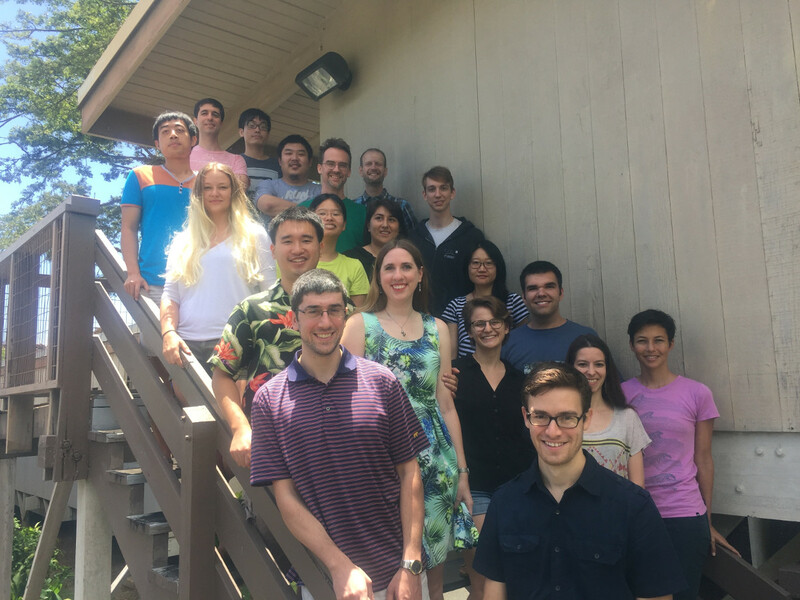 What a remarkable group of people! There are still two of them working full time at the IfA . For many years Nancy Lyttle got everyone fired up for Halloween. Here are some Halloween photos from Gale Yamada.